Known for innovations, Kamal Haasan is at it again. The ‘Ulaga Nayagan‘, who will launch his next venture in Chennai on April 29, will stream it live in three languages. “Inaugural function of RaajKamal productions in HindiTamil & Telugu going live on respective language channels & also Ulaganayagan tube”, updated Kamal on his microblogging page. The film, which will be helmed by Kamal's long time friend Rajeev Kumar, would go on floors at a function at Nadigar Sangam premises at T Nagar in Chennai. 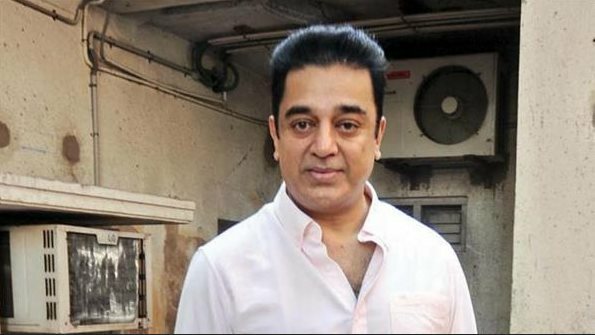 Interestingly, Ilayaraja has named the movie’s Tamil version, and Kamal has confirmed this. The title is expected to be unveiled on the launch day. It will be jointly produced by Raajkamal Films International and Lyca Productions. Tipped to be a family comedy drama, the film will have Shruti Haasan in a key role.